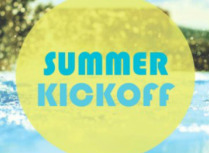 This summer is all about building a community through fellowship, friendships, and fun! 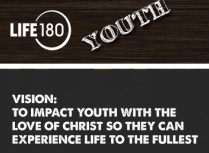 Life 180 has so many great events planned, that we have opened up every night to all students (grades 6-12) so that we can grow together! Each week is composed of an Event Day (Tuesdays, varying times *see below*) and a Community Night (Thursdays, 5-8 @ Gernux home). Transportation will be provided for each event! Please contact us with any questions regarding these events! Suggestions: Tshirts, socks, shorts, pillowcases, beanies, etc. We'll kick back, relax, and float along in the pool while we watch a projected movie! We're bringing all those favorite board games back for this night! Glow sticks will be provided for this night game night in the dark! We believe God's Word is the truth that students need at a time in their lives where they are being challenged about their beliefs and becoming young adults. We hope that God's word will become alive and real to them as they seek to know Him more. We hope to model a life of faith and a passionate love for Christ by being worshipers of God and people who love others and reach out to help them. We want to invest in the next generation and remind them of their immense worth in Christ.